Ishan Gupta is the Managing Director, Udacity, India. Udacity is democratizing education to make it affordable and accessible for people around the world. Headquartered in Silicon Valley with operations in China, Germany, India, and the UK, Udacity provides online education to millions of students in collaboration with top employers including Google, Facebook, AT&T, IBM Watson, Amazon Alexa, Mercedes, Didi Chuxing, FlipKart and more. 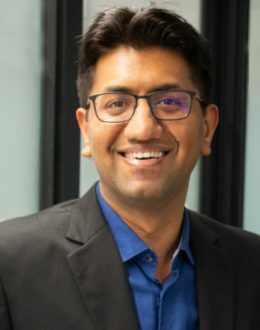 Ishan’s role in Udacity as the Managing Director for India is to build a strong team, launch more India-focused courses and take the Indian business to new heights. Ishan was until end of 2016, the Vice President (Business) at Paytm (India’s largest mobile commerce company, valued at $6Bn). Before that, he was running EduKart in India, which he had founded in 2011. The company went on to become the largest education marketplace of India. Ishan has earlier worked at Facebook as a growth manager for India and established a corporate development division for a telco services company. With a philosophy, ‘good is the enemy of great’; Ishan’s passion about democratisation of education has allowed him to lead and contribute to various initiatives which have resulted in education being an equaliser. He did his engineering from University of Delhi and MBA from Stanford University, California, USA. Besides that, Ishan has published a book on entrepreneurship titled “Make the Move- Demystifying Entrepreneurship” and has been invited to speak on topics of leadership, entrepreneurship and ed-tech at various prestigious venues in India and outside including TEDx, Stanford Graduate Business School, IITs (Delhi, Mumbai), IIM – Bangalore, ISB, India Conference at Harvard and many more. Ishan frequently writes on topics pertaining to education, technology, entrepreneurship and business management for leading Indian publications like The Times of India, India Today, YourStory, Indian Express and more. Ishan has also been featured on prestigious global and Indian platforms like TechCrunch and The Economic Times among others. For his contribution to education technology, Ishan has been featured twice on CNBC Young Turks in 2006 and 2018. Young Turks is one of CNBC – TV 18’s longest running shows for young entrepreneurs in India. He has also served as the chairperson of Education Technology Committee of Internet & Mobile Association of India.